When the first Pale Ales were sailed around the Cape to arrive in India in the early 18th century, outcries of “Zounds! Jolly good! and Huzzah!” were heard across the East Indian subcontinent. 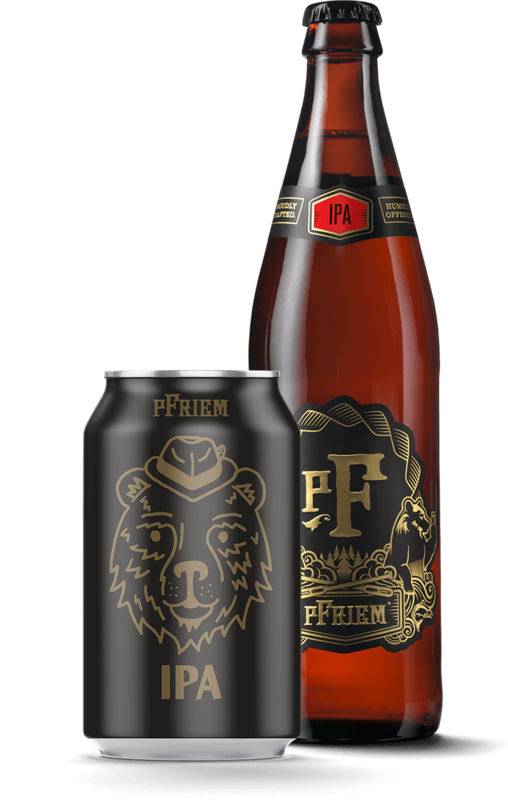 Similar exclamations are to be expected when sniffing the piney aroma and tasting the big hops, huge citrus and candy-like malt of pFriem’s own IPA. Drink up, Guv’nor. By the 1790’s the British were established in India and needed beer, which was considered a staple in every household. India, however, presented serious problems for brewers. Hot temperatures, poor water and short supplies of basic ingredients made it impossible to brew beer. Attempts to ship beer out of Britain to Calcutta failed. George Hodgson of London produced a pale ale of greater strength and bitterness than those he sold in London. The hops helped protect the beer from spoilage, as did the increased alcohol content. Hodgson’s India Ale arrived in Calcutta in fine shape-clear, strong, and bitter, with a big, resinous hop aroma. The word spread of India Pale Ale and people throughout England and the United States were clamoring for this wonderful new beer. The rage lasted through 1970’s, but lost steam in the 1980’s and became just another name for low alcohol bitters. Light copper with off-white foam. Dank aromas of peach, citrus, papaya, and blueberry. Bright flavors of lychee fruit, grapefruit, and light candy maltiness. Finishes fresh, hoppy, and piney, with a touch of grapefruit rind.